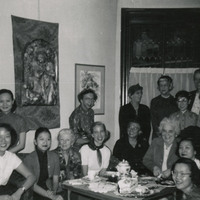 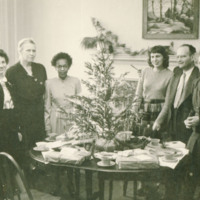 Photograph of Margaret Liu (Class of 1954) along with others at a party at Arnecliffe Art Studio for Bryn Mawr Foreign Students, Women's Hospital and Doctors. 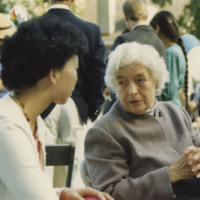 Margaret Keith with Shizhe Huang (Class of 1984) at Yue-jin's garden party. 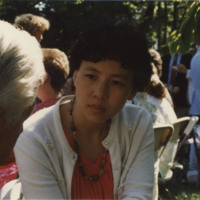 Shizhe Huang (Class of 1984) with Gordon Keith at Yue-jin's garden party.